As we approach the hungriest of holidays, I have put together a guide of movies to gorge yourself to. 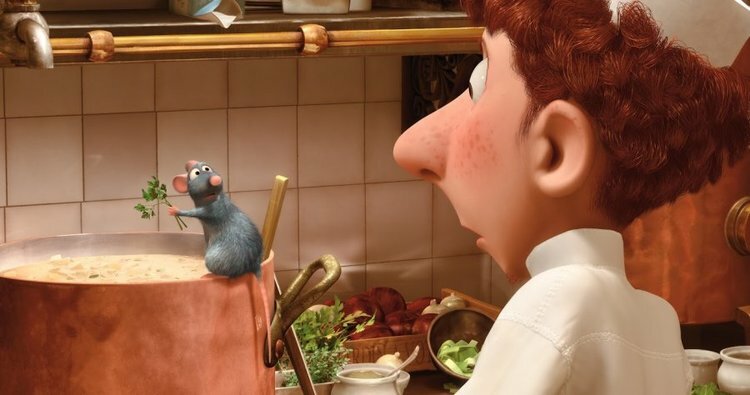 Ratatouille has got to be one of the most underrated Pixar movies. It has everything you could want: gratuitous food scenes, Parisian backdrops, and of course, Pixar-level emotional pulls. Sometimes I think to myself “who on earth greenlit this plot, no one wants to see rodents in a kitchen.” But then I watch the scene where the rats go through the dishwasher and come out all fluffy, and I’m in again. I am convinced a sandwich has never looked better than the ones heavily featured in Chef. Chef, for me, is comfort food. Not only are there countless mouthwatering meals being made, the movie is just a slow build of joy. I want to eat everything and go everywhere with this family as Jon Favreau’s adopted and completely grown-up daughter. I challenge you to be in a bad mood after Chef. Impossible. David Gelb is my favorite food documentarian, and this is his best work. It is thoughtful, intense, informative, and of course, the food is beautifully shot. Equally a study of humanity as well as the art of sushi, it is a delight to watch a master at work. If this is up your alley, there are a few seasons of “A Chefs Table” on Netflix you can continue with. There is a scene early in “The 100 Foot Journey”, where the main character’s family van breaks down, and they are stranded in the French countryside. They are taken in by a young woman who offers them an appetizer board that I think about nearly weekly. This movie contrasts two different cuisines while showcasing some very clearly indulgent ingredients with a side of wanderlust as well. English comics Steve Coogan and Rob Brydon’s 3-part film series is extraordinary in their simplicity. In a near mockumentary style, the actors play fictionalized versions of themselves as they traipse across countries, staying and eating at five-star resorts. Come for the Michelin star meals and stay for the comedy. Less of a food recommendation, more of a kitchen one. Nancy is the Queen of Culinary Interior Design, to the point where the main plot in It’s Complicated is a kitchen renovation. Personal favorites are The Parent Trap and Something’s Gotta Give. All I want in life is to be standing at an oversized granite island and offer someone “leftover coq au vin or pancakes”. 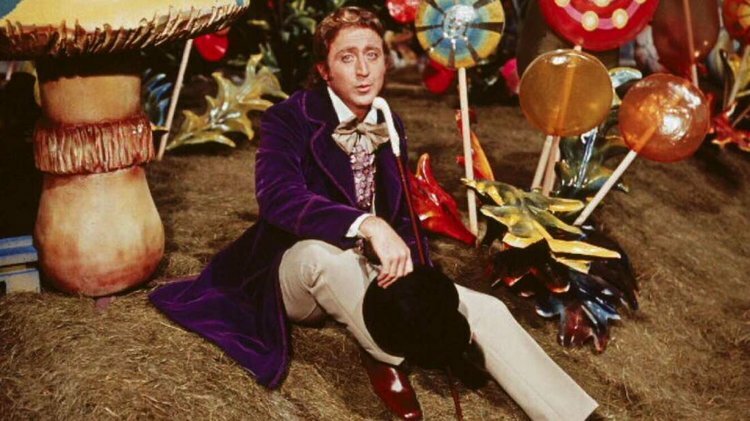 From the opening credits, Willy Wonka delivers shot after shot of luxurious chocolate production, and only doubles down from there on Wonka’s fantastical creations. I watch this anytime it is on TV, but it also makes for excellent Thanksgiving evening viewing. You will most likely be full by the time you make it to this one, but there is always room for dessert.